The Jazz Arts Group’s Inside Track series caps off Jazz Appreciation Month on April 29 – 30 at the Lincoln Theatre with “Birth of the Cool,” a recreation of the iconic 1949-50 Miles Davis recording sessions featuring Mark Flugge (music director) and Jim Powell (trumpet); and a multi-media retrospective of mid-century art and design including narration by Denny Griffith, president of the Columbus College of Art & Design (CCAD). when released together on one album, became known as Birth of the Cool. 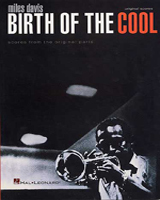 Birth of the Cool remains one of the defining, pivotal moments in jazz. stretches into such developments as bossa nova, modal jazz and free jazz. available by phone at 614-469-0939 and through all Ticketmaster outlets. Student tickets are also available for $15 with student ID at the door only. the “Birth of the Cool” concert. Dispatch, Columbus Alive, CD101@102.5 and WCBE 90.5 FM.